The District of Clearwater came to Fresh Inc. to develop a municipal website that could clearly present information to their residents, potential businesses, visitors and council members. Fresh Inc. built an easy to use content management system that the district staff is able to update with events, alerts to residents, news stories, board notes etc. 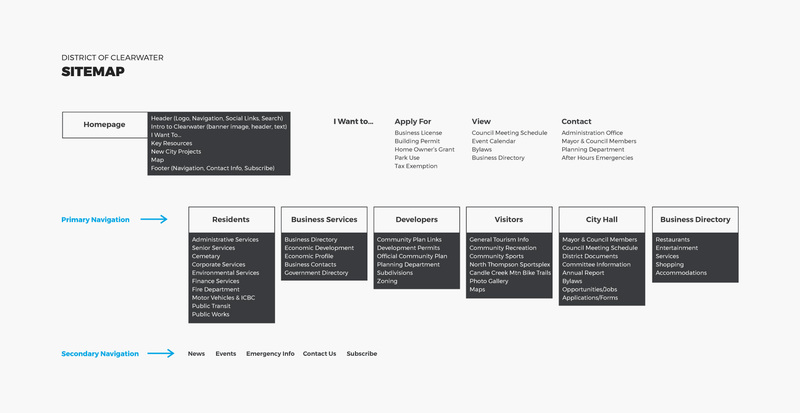 Fresh Inc. also built a custom “I Want To” section that allows users to easily find common information.